Our holiday gift guide initally published on November 2, 2018. Each week, we're updating it to include more items, so be sure to check back for more ideas on what to get your loved ones this holiday season! Happy holidays! Whether you celebrate Christmas, Hanukkah, Kwanzaa, or some other holiday, December is often the time for hot cocoa, curling up by a fireplace or space heater, and spending time with loved ones (and video games). Of course, giving gifts to those close to you is part of the celebration too, but picking gifts for gamers can be tricky. So, us here at USgamer have collaborated to help you in your inevitable gift shopping for the holiday season. We all have fellow nerdy relatives and friends in our lives, so why not give them the best gifts of all? That is, video games and other related knick-knacks! Below, you'll find our hand-selected video game gift guide for the holidays. Enjoy, good luck, and happy holidays! No matter what your preferred platform is, we've put together some recommendations for great games to gift for the PlayStation 4, Xbox One, Nintendo Switch, and PC owners in your life. You should find something for everyone in this selection of gifts for gamers. We all know that person who loves to be the host. The person with all the dinner parties, with all the casual nights in with a gaggle of friends. It could be a cousin, an aunt or uncle, or just a friend. Maybe they're not really into video games. Well, the solution to that is Jackbox Party Pack 5, the latest of the excellent Jackbox party game collections. It's one of the best yet, marking the grand return of You Don't Know Jack. The highlights of the bundle include Patently Stupid, in which you create a silly object and then proceed to pitch its usefulness to your friends, and Mad Verse City, where you scribble your own raps to compete with pals. The great thing about Jackbox Party Pack games is that they're accessible for everyone, since players just connect to a game using their phones. 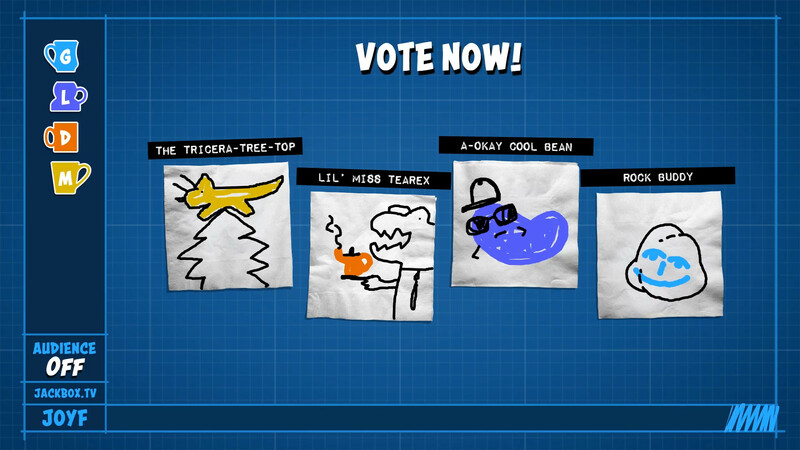 For your party-enthusiastic buddy or family member, Jackbox Party Pack 5 is essential. This year marked the end of Dragon Ball Super, the latest series in the best-selling Dragon Ball franchise by creator Akira Toriyama. It also marked the launch of Dragon Ball FighterZ, a new competitive fighting series by the folks at Arc System Works. At Evo 2018, Street Fighter 5 might've been the headliner, but Dragon Ball FighterZ had all the hype. 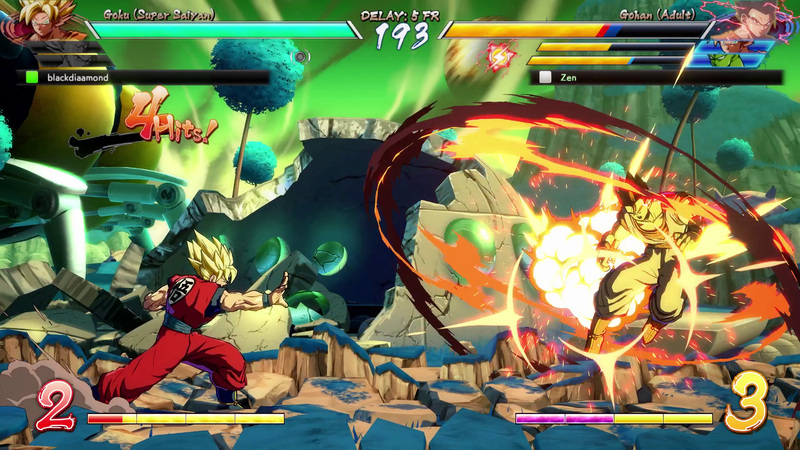 If you're a fighting game enthusiast or a Dragon Ball aficionado, this is the game you want this holiday season. 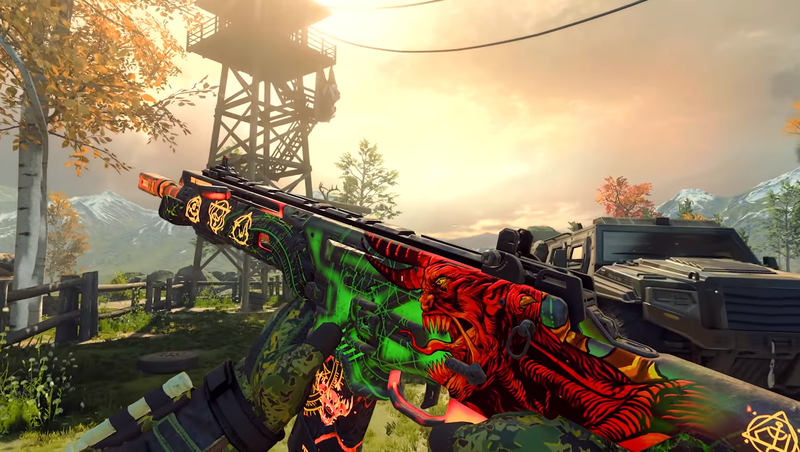 If your friend or relative is into Fortnite, the gift of Call of Duty: Black Ops 4 would probably be very appreciated. There's no single-player campaign in this year's CoD, but the Zombies mode is as excellent as ever, normal multiplayer is fast and fun, and there's the brand new Blackout mode. It's Blackout that will be of most interest to the aforementioned Fortnite fan in the imaginary family and friends scenario I've created for you. It's a bit like mega hit PUBG, only with a more serious slant than Fortnite Battle Royale, but with the Call of Duty sheen we're now used to. Predictably, I sank a lot of time into RPGs this year, but Dragon Quest XI got the biggest slice of my time-pie. I waited a long time for this JRPG to come west, and when it finally sloshed ashore, I wasn't disappointed. 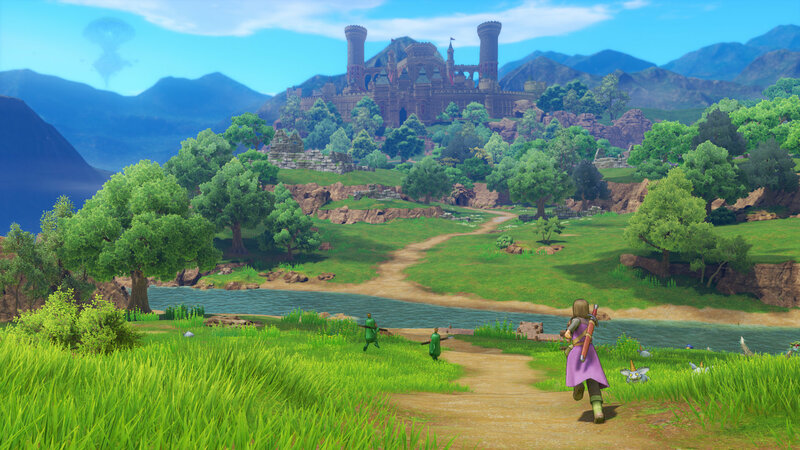 Dragon Quest XI is a huge RPG that performs a delicate balancing act between sunshine and despair. Its monster designs and animations, supplied by legendary Dragon Ball manga-ka Akira Toriyama, are spectacular. More people than ever are playing JRPGs thanks to the success of Nier: Automata, Octopath Traveler, and Persona 5, and Dragon Quest XI is the perfect gift for new inductees into the genre... and old hands, of course. I know, I know. It's not out yet. What if IO Interactive trips across the finish line? That said, I loved Hitman: Season One. It was such a unique style of game, straddling the line between puzzle and action. And from what I've played of Hitman 2, it looks like the sequel will build upon what made Season One great. New maps, better AI, new ways to kill, and all the gameplay improvements will be coming back to the Season One maps as well. 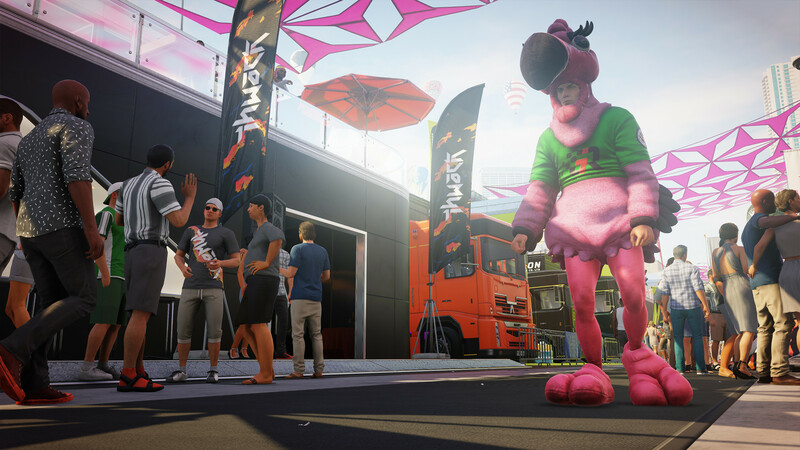 Hitman 2 is a killer package and I want it to do well this holiday season. The best sorts of gifts are the unexpected ones; the ones that call back on a distant memory. 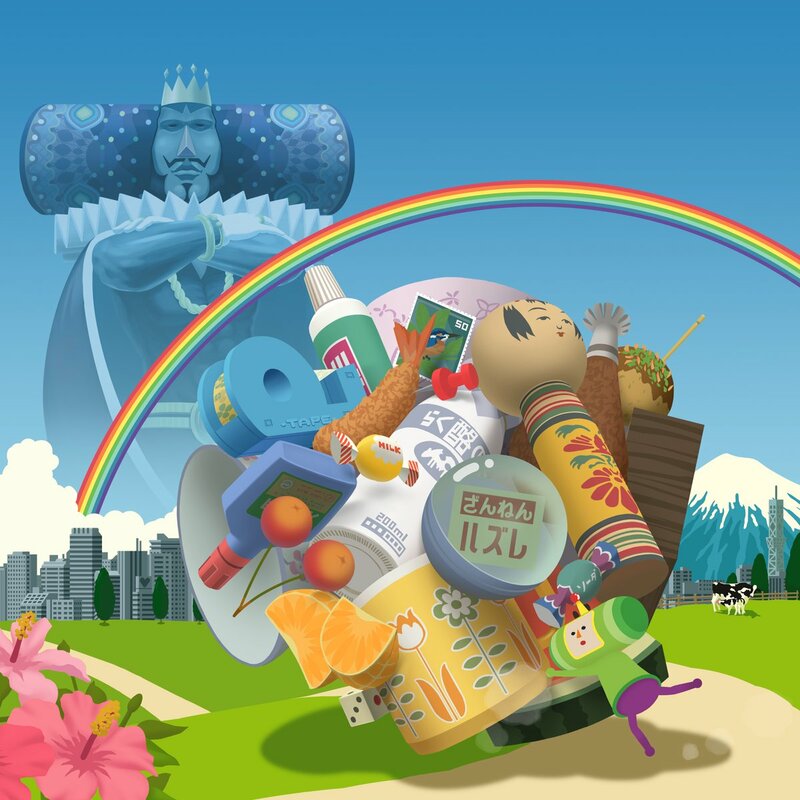 Katamari Damacy's upcoming remaster, Katamari Damacy Reroll, is primed and ready for just that tearful exclamation of, "Oh my god, I totally forgot about this game!" from a sibling who doesn't keep as locked into games-related news as they used to. Since Katamari Damacy Reroll is only planned for Nintendo Switch (complete with gyro controls and HD rumble) and PC for now, it might be a bit of a trickier gift for a loved one, but if you know of someone who has a Switch, maybe even the present of Reroll with the Boss Fight Books entry below could serve as a lovely dual gift. 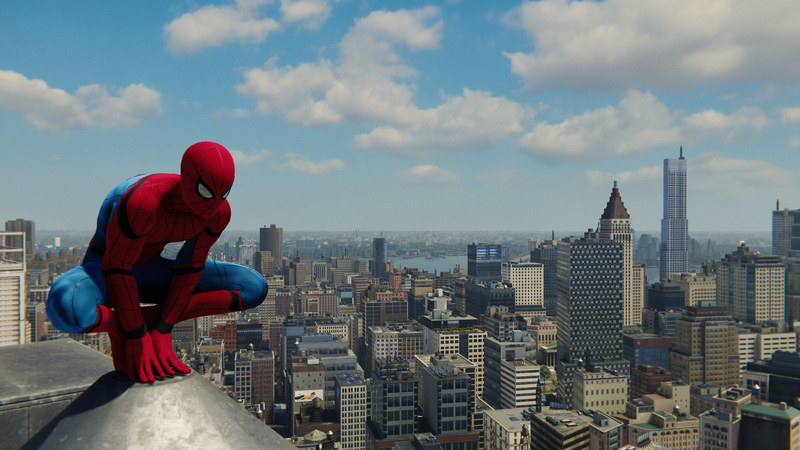 Spidey’s most recent video game outing is a real winner, combining blockbuster set pieces with a heartfelt comic book tale. Marvel’s Spider-Man should be played by all PlayStation 4 owners, and it's a safe bet that whoever you choose to buy it for will absolutely love it. Many gamers will no doubt have fond memories of zipping around New York in Treyarch's Spider-Man 2, and, well, this one’s somehow even better. 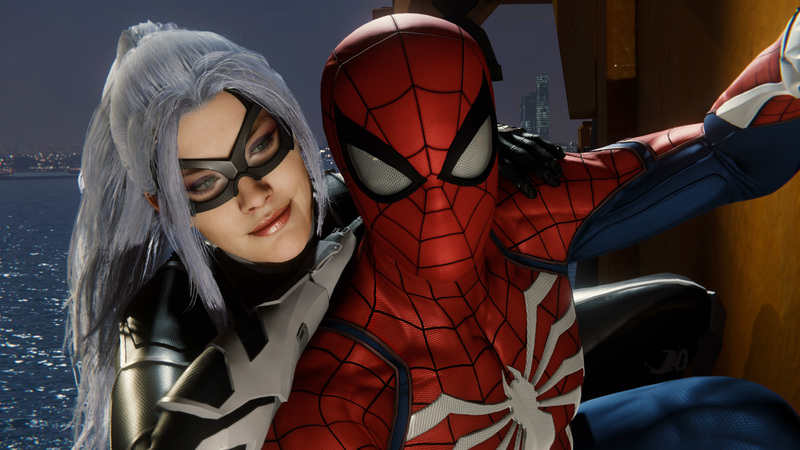 Being a Sony first-party exclusive and all, Spider-Man PS4 has all the polish and detail exhibited by its peers God of War and Horizon Zero Dawn. Ultimately though, it’s just a real blast to play, and its colorful, quippy protagonist stands as a stark contrast to some of the more moody offerings this holiday season. 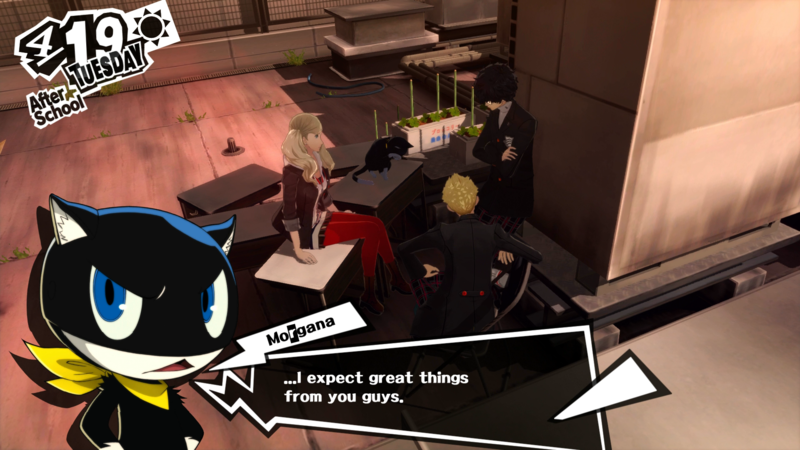 Arguably one of the best RPGs of this generation, Persona 5 follows a handful of Japanese students as they deal with life in school, dating, and battling everyone from the Yakuza to Anonymous. Think of it as Japanese Buffy the Vampire Slayer, only instead of battling vampires, you are journeying into the minds of evil people and changing them for the better. Trust us, it makes sense when you play it. At a solid hundred hours, Persona 5 is an amazingly dense game, and it will keep the gamer in your life very busy through 2019 and possibly beyond. 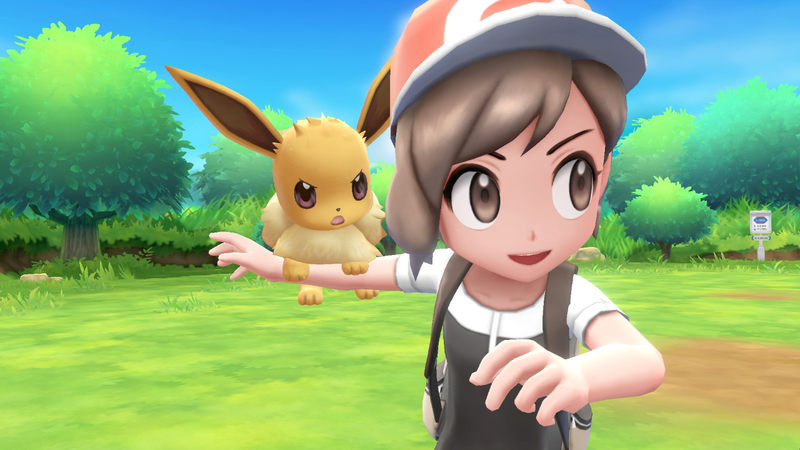 No, Pokemon Let's Go Pikachu and Eevee are not huge RPGs, but that isn’t going to stop them being a hell of a lot of fun. If you’ve already played Pokemon Go (like half the planet has), then you're in prime position to transfer your Pokemon over from mobile to your Nintendo Switch. Pair it with the Poke Ball Plus, and you're in for some pure childhood bliss. I imagine there will be a lot of Nintendo Switch consoles on people's holiday lists this year, and while there are many great games for the system, I recommend Super Mario Odyssey as the Switch's most essential game. 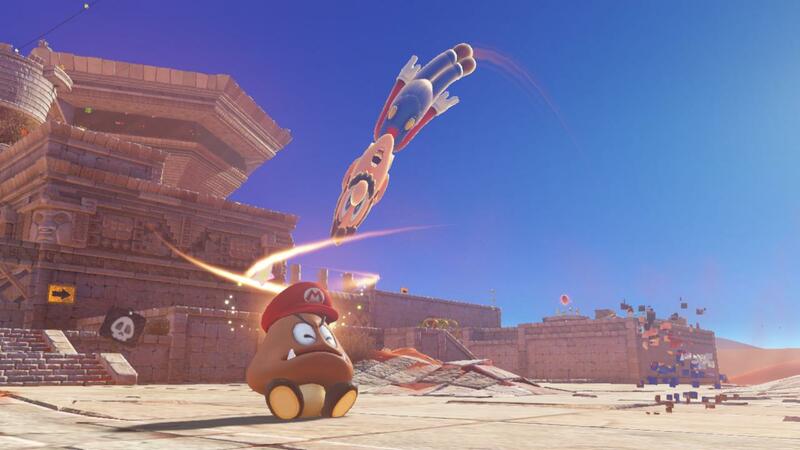 The Switch is lucky to have a couple killer apps like The Legend of Zelda: Breath of the Wild and Mario Kart 8 Deluxe, but neither of them are as perfect a fit for your new Switch than Super Mario Odyssey. Whoever you're gifting a new Switch to, I guarantee they'll love playing the newest Mario game on it as well. One of our favorite games of 2018 is the perfect holiday gift for gamers who love co-op multiplayer games. Set in a fantastic world full of massive beasts, Monster Hunter: World teams hunters together to fight the most dangerous monsters around. You'll find dragons, dinosaurs, lighting-summoning unicorns... and you'll kill them. 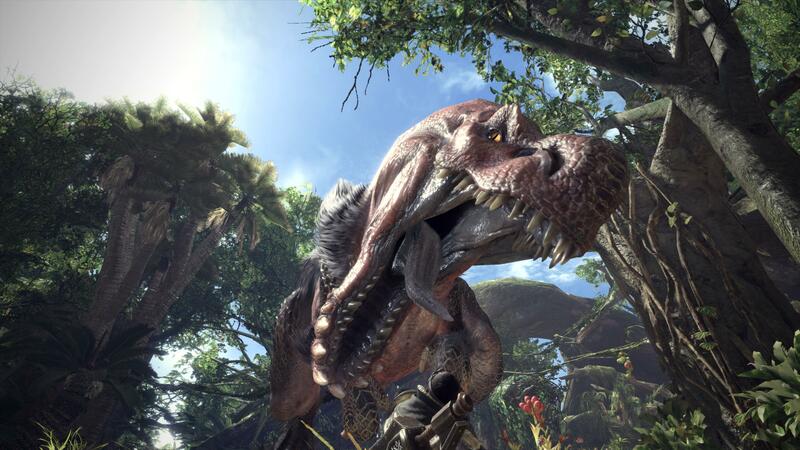 Featuring some of this generation's best graphics, Monster Hunter: World has proven to be a breakout hit for Capcom. If you missed Monster Hunter: World the first time around, we can't recommend it enough. Darkest Dungeon is a punishing RPG perfect for the friend who collects bird skulls and apothecary jars. The gothic aesthetic might be sharpened like a fine ceremonial blade, but the gameplay is one of the best modern takes on the dungeon-crawler today. 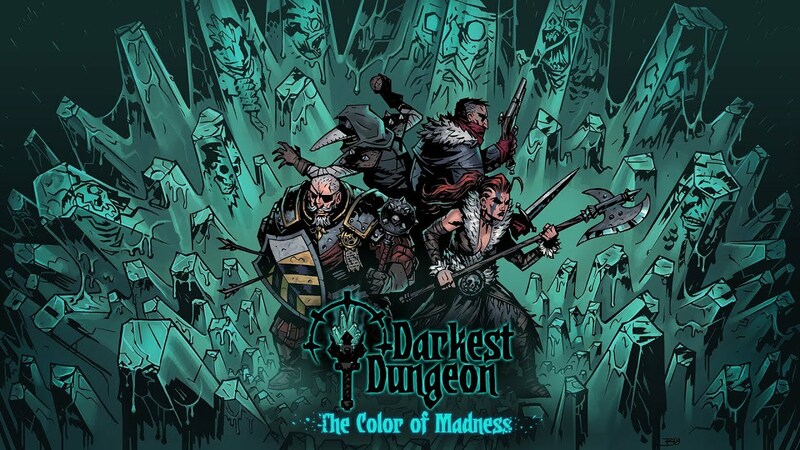 While Darkest Dungeon plays great on nearly any platform, you might want to consider the Switch version as combing through nightmare dungeons one at a time fits quite well with the game anywhere ethos of the Switch. "What? 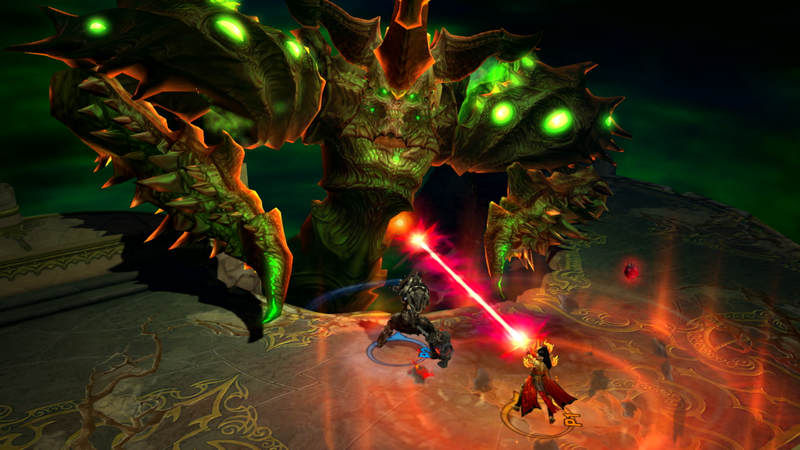 Who the hell hasn't played Diablo 3?" Oh, do take pity. There are dozens of us who haven't played Blizzard's dungeon-crawling loot-collecting adventure! Dozens! In all seriousness, Diablo 3 is an incredible game, and its hunting/loot-gathering reward feedback loop is perfectly tailored for the Nintendo Switch. If you have a pal who hasn't heard the good news about Azmodan, now is the time to deliver. Sometimes it's great just to read too. Here's some ideas for what to get the bookworms you know. If you're picking up Marvel's Spider-Man for PlayStation 4 like we recommended above, you might also want to take a look at this excellent art book. The team behind the game crafted their own version of Peter Parker, his heroic alter-ego, and his supporting cast. This book gives you some insight into those decisions, as well as some keen high-resolution concept art. It's definitely work the asking price. We all should read more. Whether whoever you're buying for owns an eReader like a Kindle or prefers stocking up a bookshelf, any of Boss Fight Books' published works are a great gift to give a loved one. 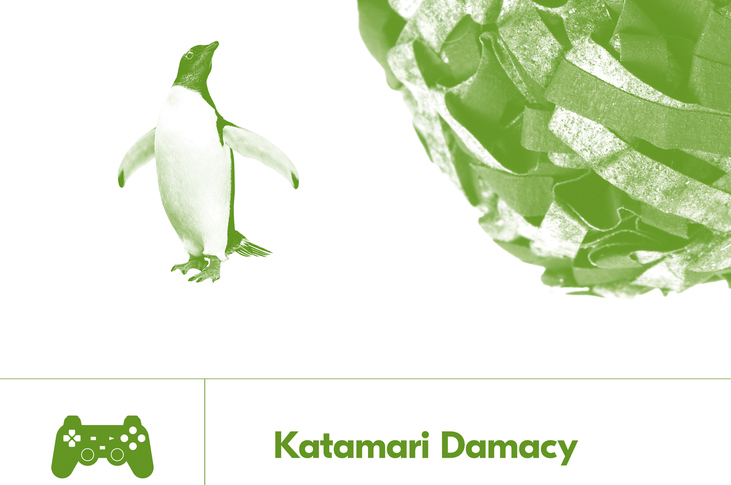 In the latest round of publishing, Laura E. Hall's excellent book on the PlayStation 2 classic Katamari Damacy has finally released after its Kickstarter campaign back in 2016. It dives deep not only into Katamari Damacy itself, but also features interviews with the mind behind it, Keita Takahashi, and follows the big ol' Katamari ball as it rolled into being an unlikely cultural mainstay in video games. 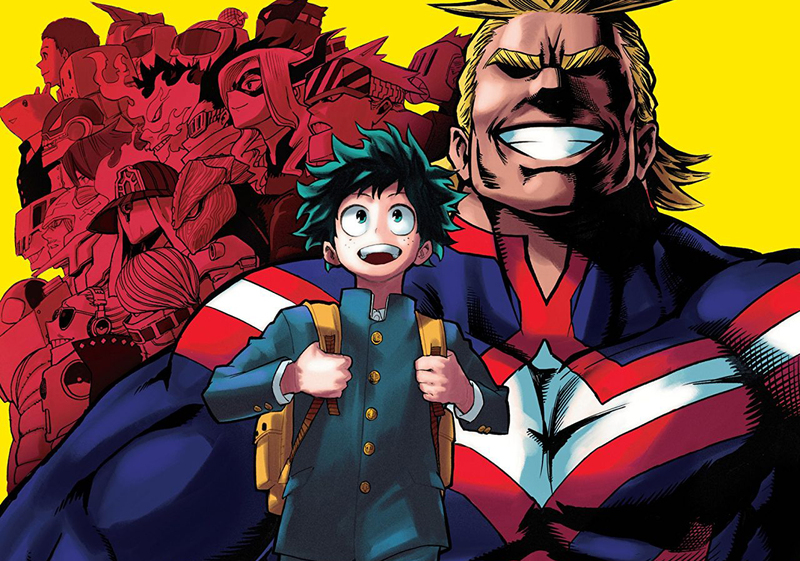 My Hero Academia is bar-none, the biggest manga and anime sensation going on right now. If you truly care about the loved ones in your life, it behooves you to get them in on the ground floor. This collection brings together the first five volumes of the best-selling manga, which is more than enough to get someone completely hooked on the story of Deku (and Bakugou). You can never get too old for toys. But if you are, we have some other cute game-related gifts to make a loved one squeal on gift-opening morning too. There's always someone in your family who is impossible to buy for, and that difficulty is often ramped up when the person in question is a teenage relative who you only see once or twice a year during awkward family get togethers. If there's one thing a teenager is guaranteed to love, it's Fortnite. If your teenage family member doesn't like Fortnite, my apologies. I honestly thought this gift idea was foolproof. 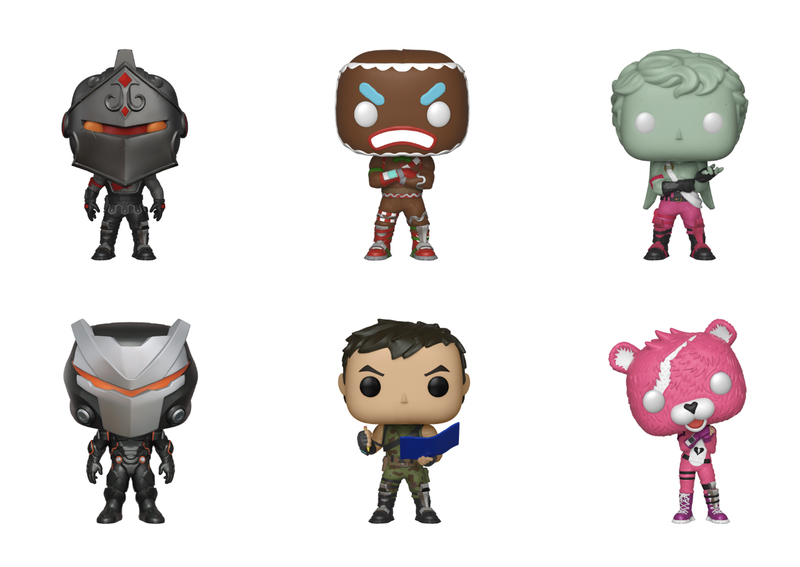 These Fortnite Funko Pop figures are just as 'beautiful' as the other Funko Pops on the market, so they'll look great on any teenager's homework desk. The world of figure collecting can be daunting with Nendoroids and Funko Pops every which way. But if you want a better line of toys based on your favorite video games to liven up your desk or room, then consider picking up a Figma. These poseable figures are more accurate to a character's design instead of the chibi Nendos or Funkos, and they usually come with one or two props too. Figmas are also better for poses so you can get really creative with how they'll look on display. 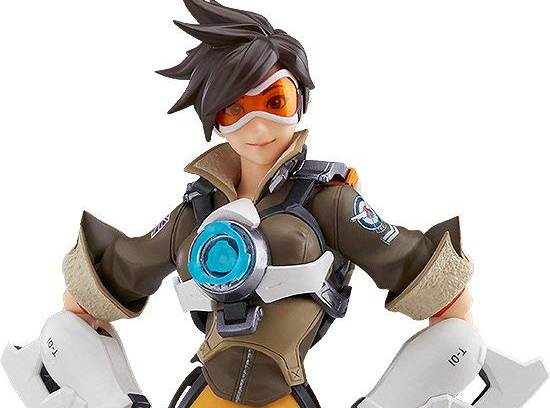 Blizzard's line of Overwatch figmas are a great starting point, but toy company Max Factory has a whole line of figmas based on some of the most popular games and anime. We all need accessories to go with our games too. Headphones, speakers, controllers, heck, even a retro throwback console or two. Here are some of our favorite picks. Do you own a Nintendo Switch? Do you find yourself flying on a regular basis? Then a pair of Bose QuietComfort 35 Noice-Cancelling Headphones are an essential gift for you or your loved one. 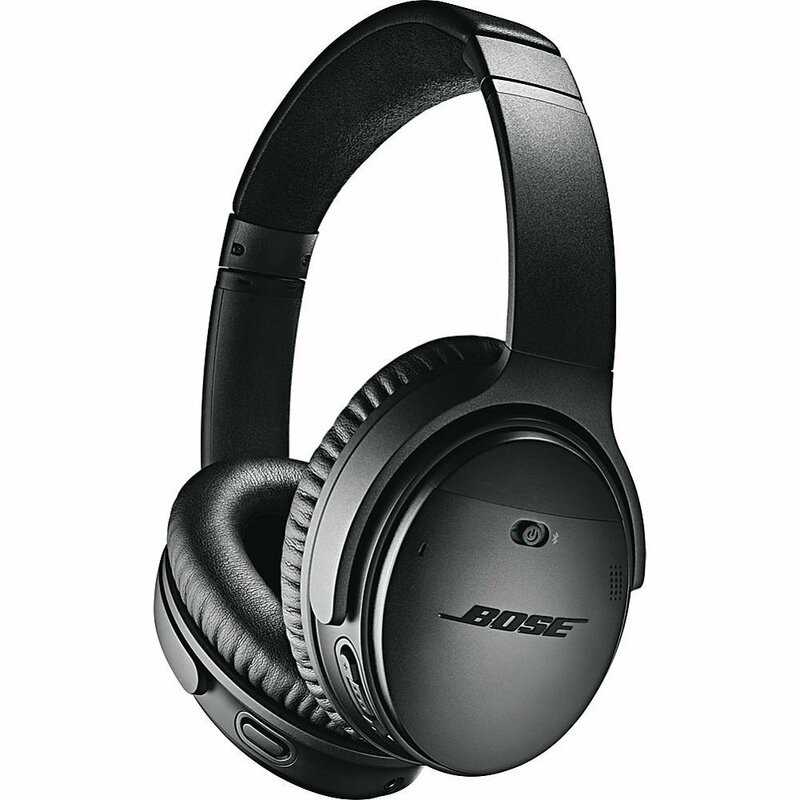 Bose headphones feature some of the best noise-cancelling technology on the market, serving to cut the droning white noise of airplane engines almost entirely. It's a game-changer if you find yourself struggling to sleep on long flights, and it's a very comfortable way to enjoy your favorite mobile or Switch games. Take our word for it: Bose QuietComforts are a must-own for gamers who travel on a regular basis. Long before the days of walking simulators, there was just the quiet puzzle-adventure game Myst. 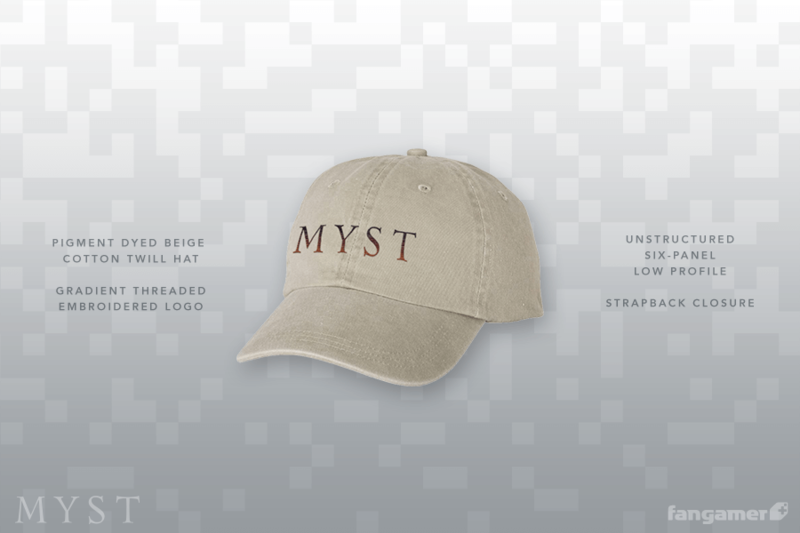 Thanks to Fangamer, you can gift a loved one in their 30s or 40s that harbors a 25-year-old love for Myst the perfect present: a hat that says Myst on it. It's great because it immediately signals how they're a gamer, but not a gamer-gamer. They have taste, man. It's also a nicely simple accessory, compared to a lot of game merchandise. 2018 looks set to be another amazing year for Pokemon. Not only has Pokemon Go had a huge resurgence, but there’s also a brand new Nintendo Switch Pokemon game in the form of Pokemon Let's Go Pikachu and Eevee coming later this year. 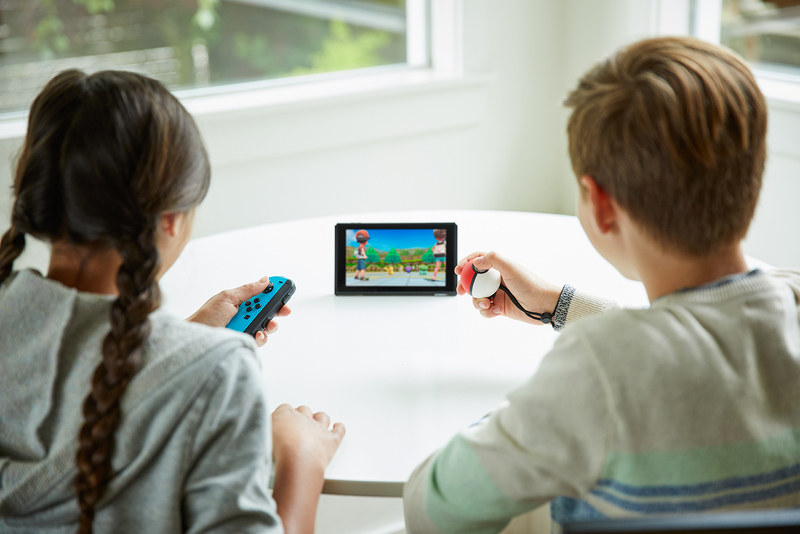 The Poke Ball Plus works with both games, lighting up, vibrating, and even acting as a full-fledged controller for Let's Go. It’s definitely a great gift for any Pokemon lovers in your life, allowing them to take their favorite Pokemon into the real world with them. Pokemon Go players will enjoy the little light up feature that the Poke Ball Plus uses to alert them of nearby Pokemon or Poke Stops, and it can even be used to catch Pokemon without pulling out a phone! 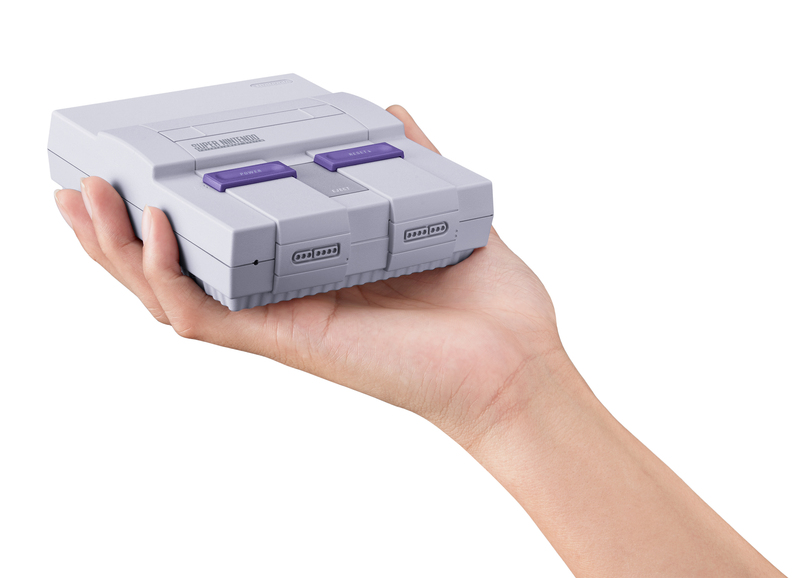 The mini-version of Nintendo's famous 16-bit console packs a tremendous amount of gaming into a tiny console. A celebration of the absolute best the SNES has to offer, it includes several all-time classics including Super Metroid, Super Mario World, and Final Fantasy VI. As a bonus, it also includes the never before seen Star Fox 2, which was canceled before it could be released in the mid-90s. More than just a cool novelty, the SNES Classic's library still holds up extremely well, comparing favorably with even some of the latest and greatest releases. Buy it and you may be surprised how much value you get out of this wonderful little package. "Pikachu! I eat you!" 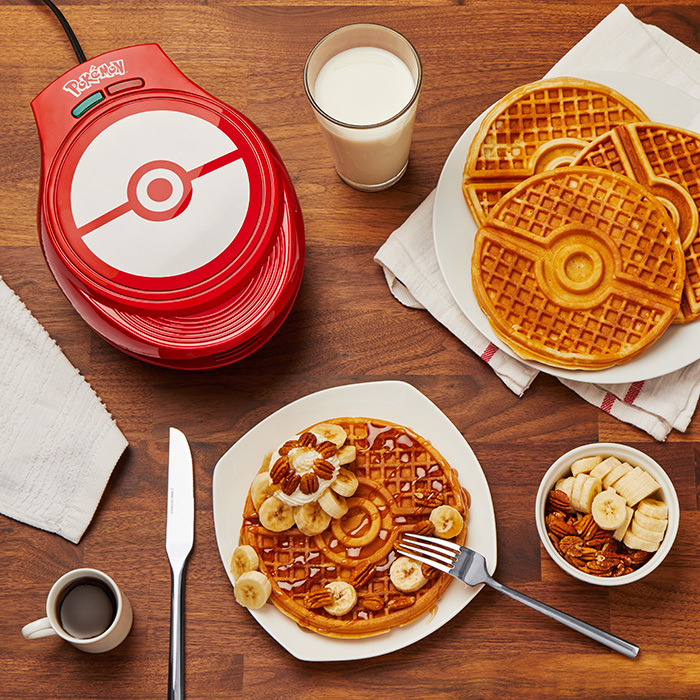 If you have someone in your life who worships Pokemon and the elaborate Sunday morning breakfast ritual, you absolutely must buy them this waffle iron that makes Poke Ball-shaped breakfast items for consumption. Your move, pancakes. I’m a longtime Blue Potion Co. customer, and let me tell you, the quality is second to none. There’s actually a ton of great quality merch on there, with series like Dark Souls, Spyro, Monster Hunter, Animal Crossing, and more getting the cute chibi-like treatment. 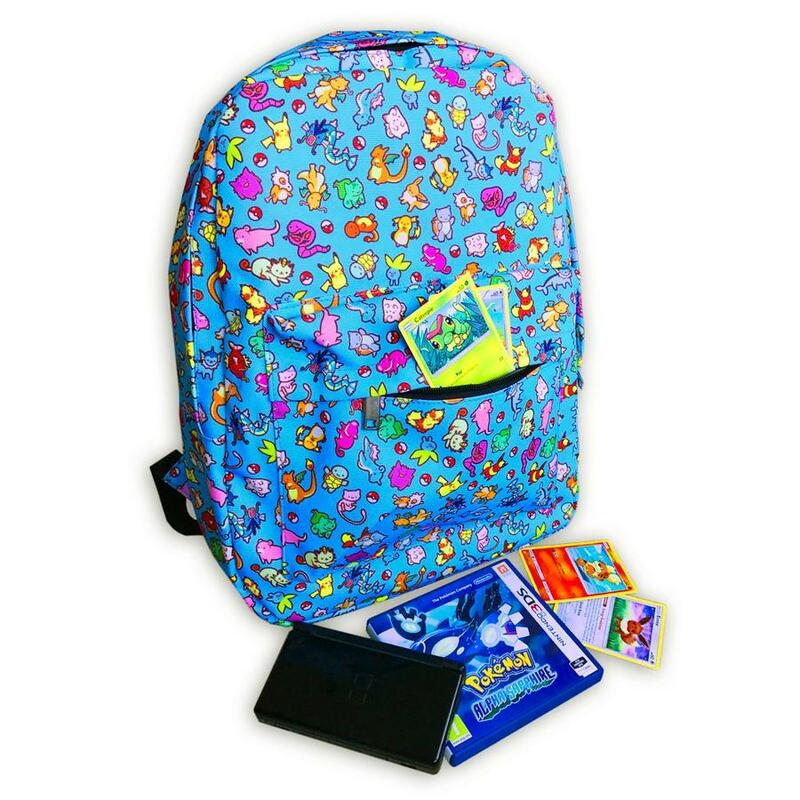 The designs are gorgeous and unique, and a quality backpack will last you for well over a year. 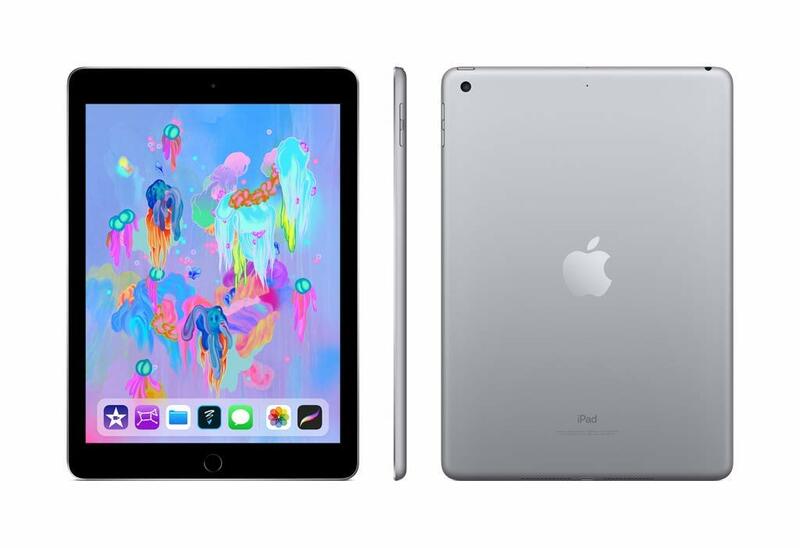 Apple might have released a fancy new iPad Pro this year, but if you're looking for a new tablet, the one you should buy is the iPad 9.7 inch version. Not only does it come with Apple's new A10 Fusion chip that can basically handle any game you throw at it, but it also supports the original Apple Pencil and is still far cheaper than the Pro model. iOS continues to net some great mobile exclusives, so if you're looking for a small gateway into Apple's game library, the iPad is the way to go. Fangamer is a quality supplier of great video game merch that doesn't scream "Look at me, I'm a consumer!" to whomever's walking behind you on the street. 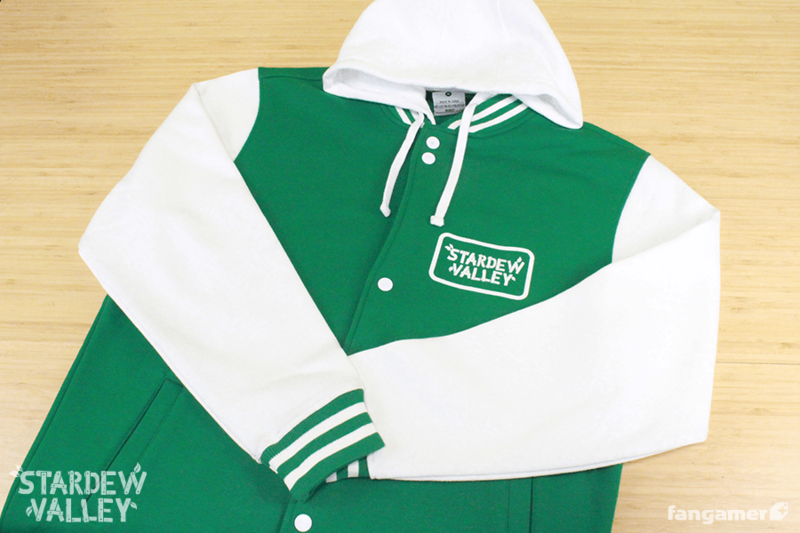 Case in point is this lovely Stardew Valley jacket that boasts the emblem of the "Farmers United." It's warm, it's stylish, it's practical, and any farmer (digital or otherwise) would wear it with pride. Also: It's green. Tagged with Holiday Gift Guide 2018,	holidays,	katamari damacy,	List,	lists,	Nintendo Switch,	PC,	PlayStation 4,	Pokemon,	Super Nintendo Entertainment System: Classic Edition,	Xbox One.